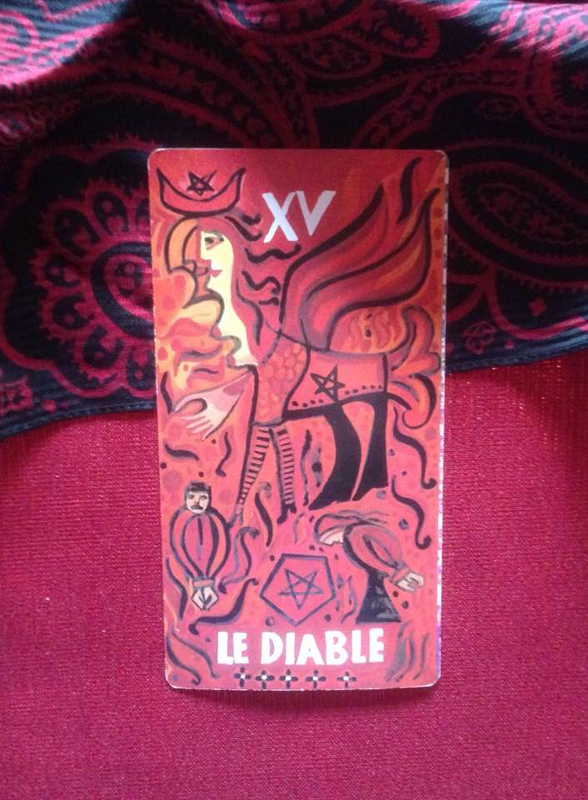 The Devil card comes up today to warn you that you, or someone close to you, may be falling into negative patterns in order to obtain gratification. Addiction and obsession might be in the picture as well. Once caught in this kind of a trap, we tend to believe there’s no way out. There is, but it takes tremendous effort, and the first - and most important - step is to admit that you have a problem. This card encourages you to think about this issue and open your eyes to look clearly at what’s happening. Be honest with yourself. Question your beliefs and discern the truth. When we cut through ignorance, delusion, and confusion, our chains will fall away.